In the sea of manufactured items online, don't wear what others are wearing - be unique! 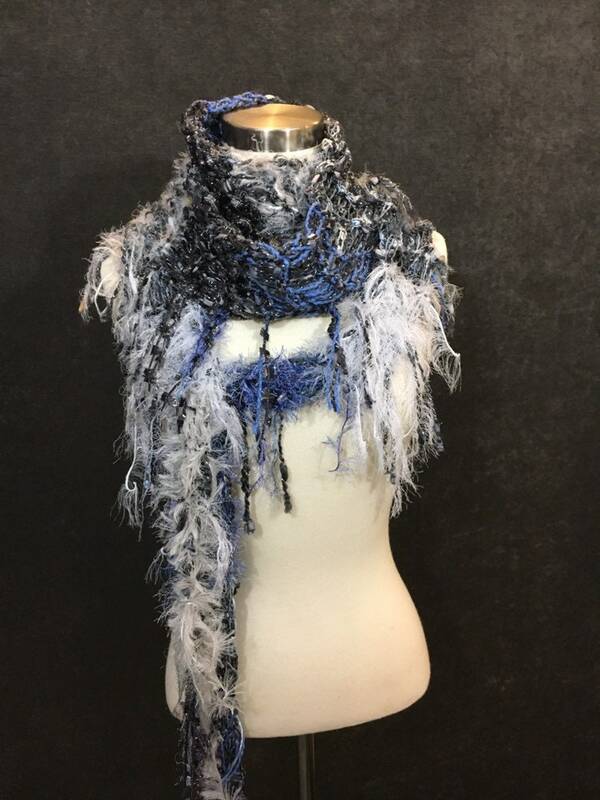 Wear one of a kind! 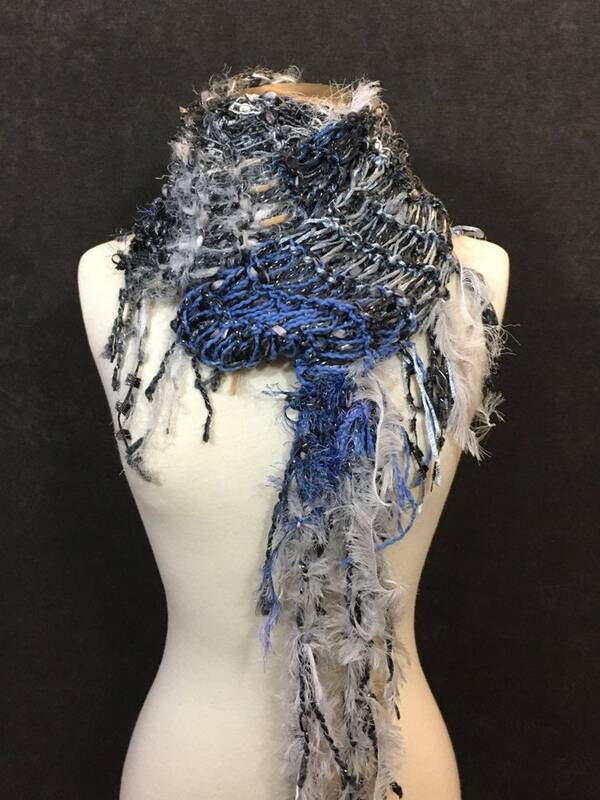 This is a great textural blend of novelty fibers in an extra long tapered diamond shape shawl or scarf. 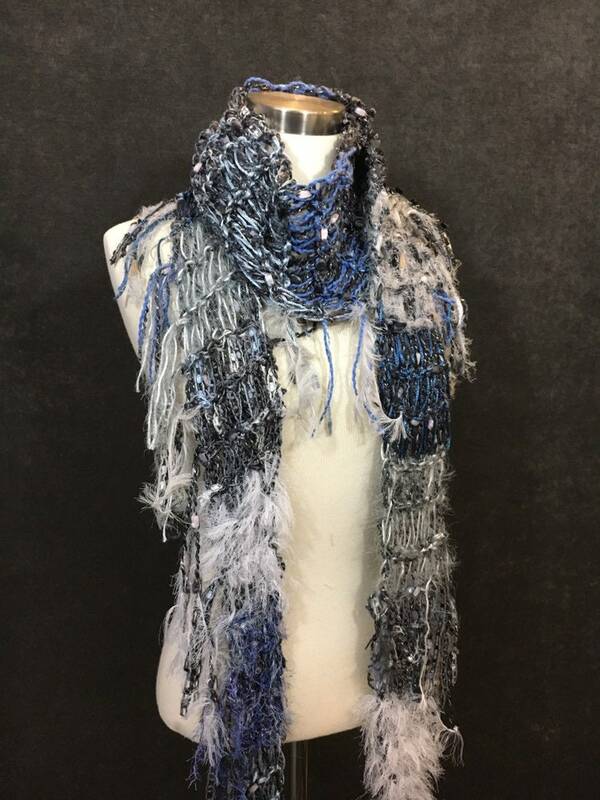 The woven acrylic base fiber that has silver sparkles woven in it. 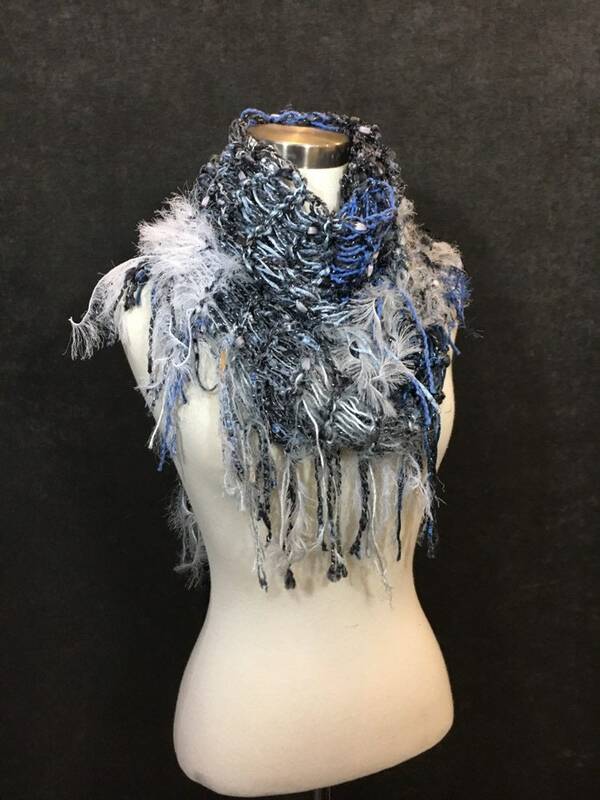 Fringed edges include coordinating tones and all the fibers in the piece. 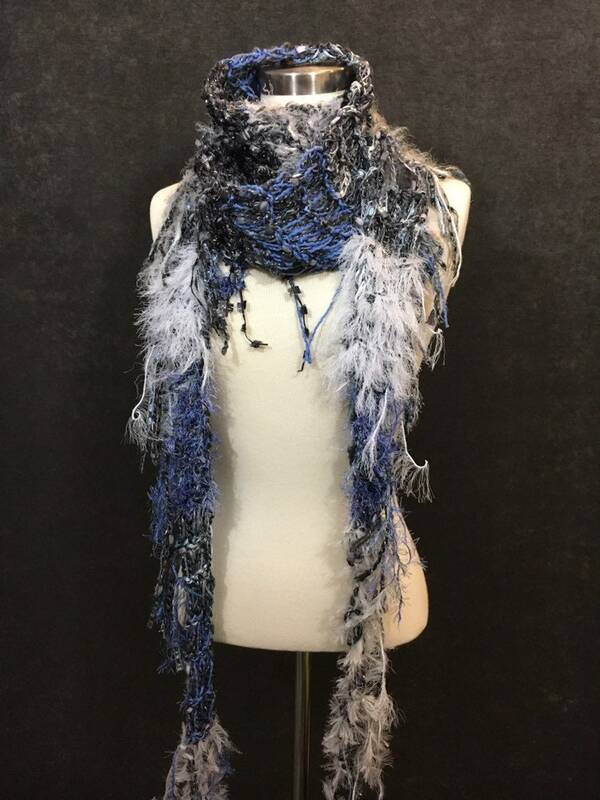 Wrap it twice, drape it with a long sister skirt or sweater, great with jeans and boots and more. Lightweight! Tapered diamond shape. Width at center approx 11”, length at 9’. 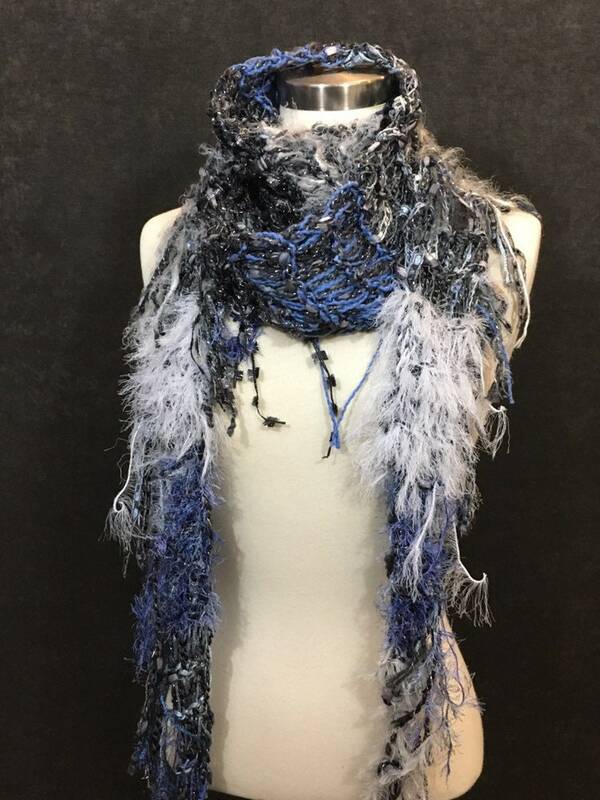 This a diamond-shaped scarf or shawl knit with a drop-knit (see-through) pattern to show off the wonderful novelty fibers and textures and give a ton of wearability options! These are a perfect way to dress up business casual day-wear and add sparkle and artistic flair to any casual or dressy outfit! 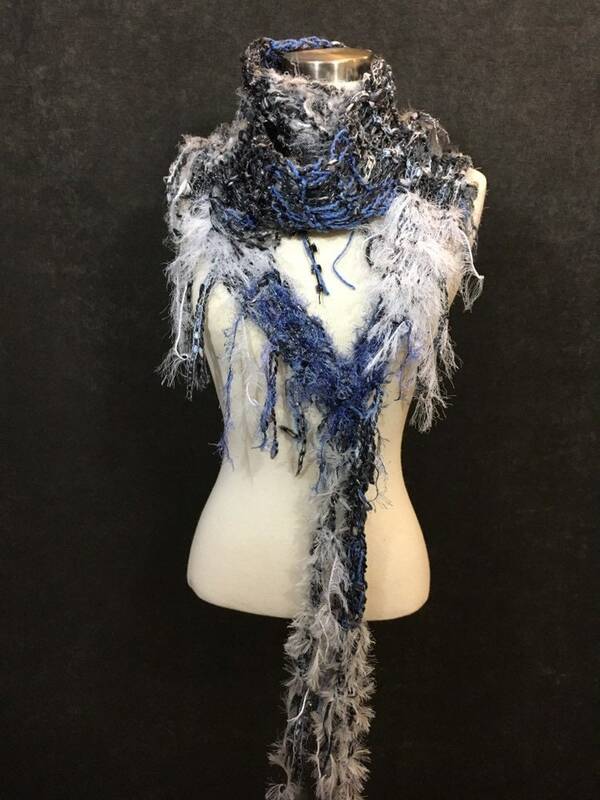 The tribal romance series scarves are a definite fashion-proof accessory you can wear all throughout the year! Great for the bohemian look. They add artistic flar with styled in many versatile ways! 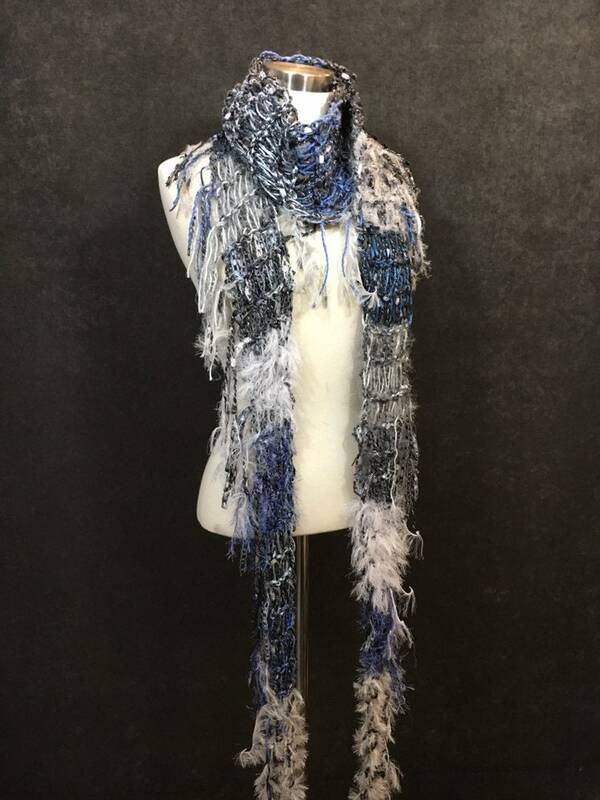 Rather than tie this piece, simply pull one end thru itself in the drop-knit pattern a few times and it will stay held together in place without the bulk of a knot. Drape it around your shoulders, and tuck under your arms - tie it once at your lower back and you have a great lightweight fringed shrug!! 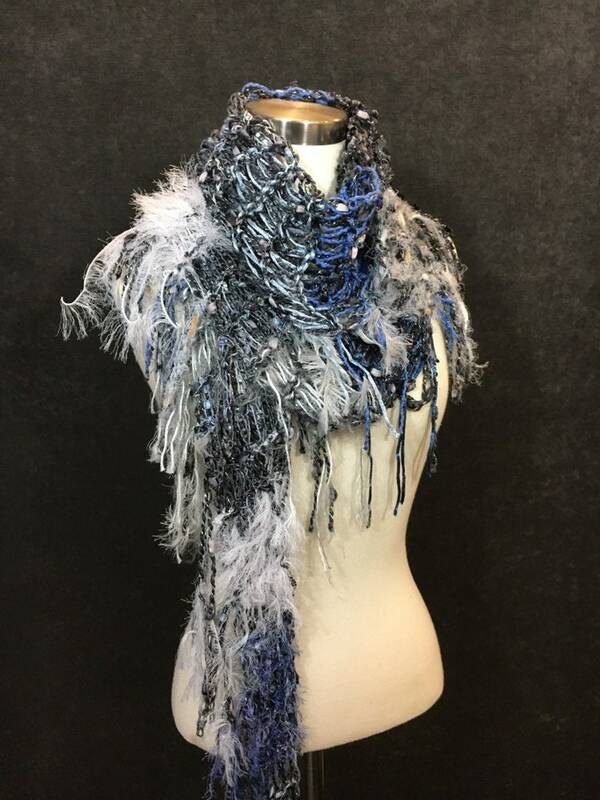 See other Tribal Romance scarf photos for more styling options!! Tie it loosely at your waist with a flowing skirt (or around your draping sundress) for a great hipster look too!! 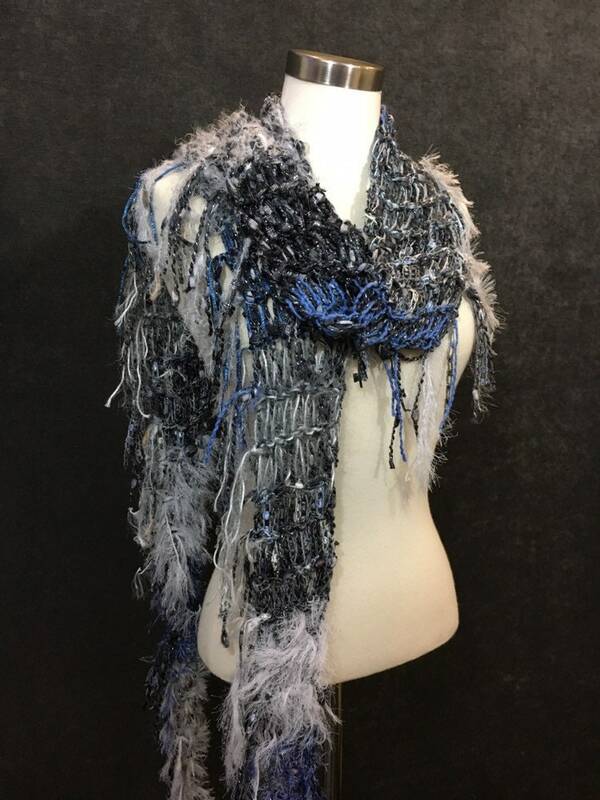 The materials are hand-knit into a fun long diamond-shaped drop-knit (see-through) pattern and fringed along one full side.